How To Sandbag Your Home Flooding, What is your Role? Floods - What to do? For complete information click here. 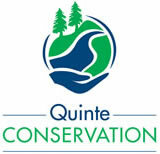 For information on flood levels, visit Quinte Conservation website. protect your property click here. To download a PDF version of the Hastings County Emergency Preparedness Guide click here. Visit the Emergency Management Ontario website for important emergency information.